I love when food tastes like the seasons. I know. This sounds weird. Really what I am referring to is not foods that are typically found in the different seasons (like pumpkin in fall, or soup in winter, or asparagus in spring (although all those foods remind me of those times of year). I am talking about true flavors that actually taste like the different seasons. Take apple cider and gingerbread. If I could eat Christmas this is what it would taste like. Spicy and magical. 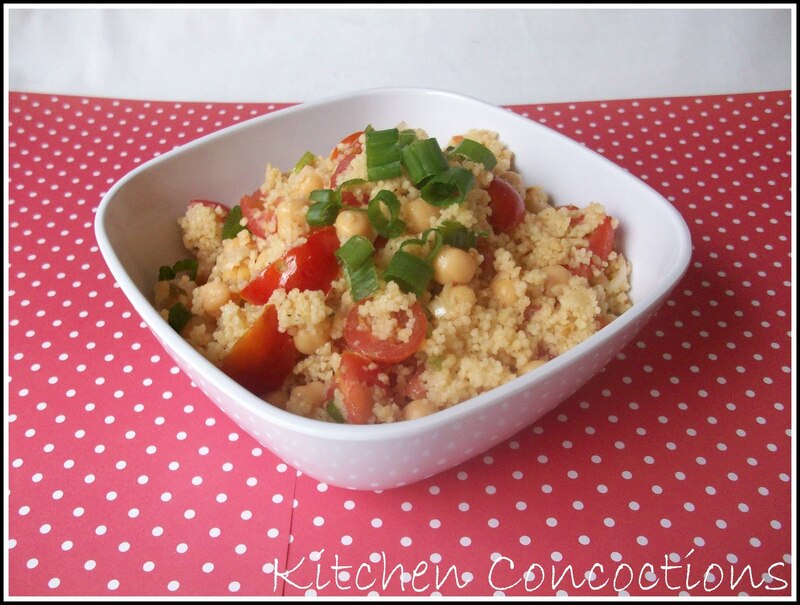 And this couscous salad recipe tastes like summer. If I could eat a warm summers night this salad, with its fresh lemon juice, sweet juicy cherry tomatoes, and tangy green onions would be it. Summer in your mouth. Now that’s a food description! 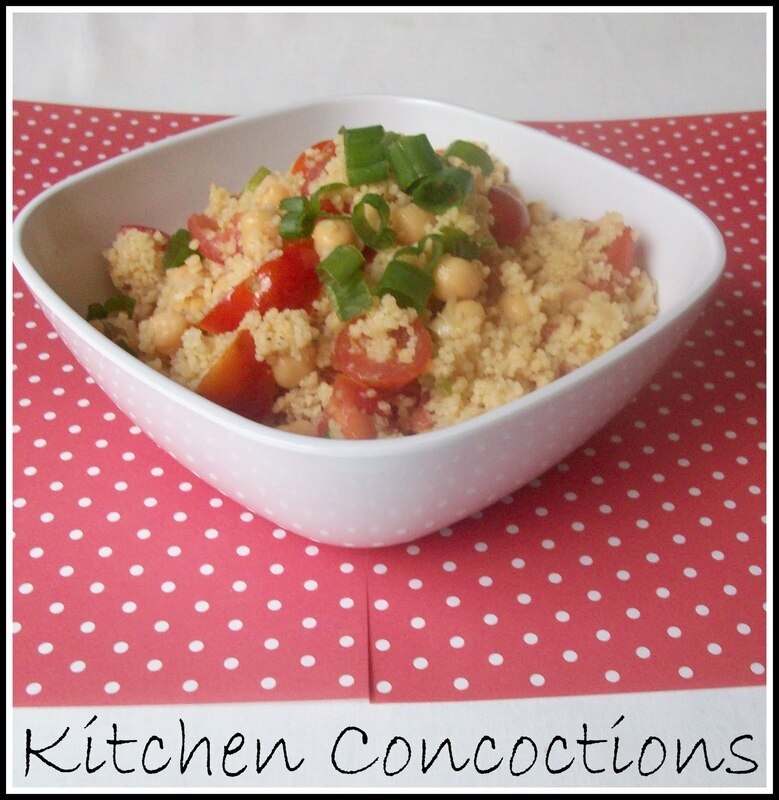 Place couscous, 1/4 teaspoon salt, 1/4 teaspoon pepper in a bowl. Stir in boiling water; cover and let stand 10 minutes. Fluff with a fork. Combine oil, juice, garlic, and sugar. Add oil mixture, remaining 1/4 teaspoon salt, 1/4 teaspoon pepper, and next 4 ingredients (through tomato). Sprinkle with cheese. This looks great. I am craving recipes like this one now that warmer weather is here.